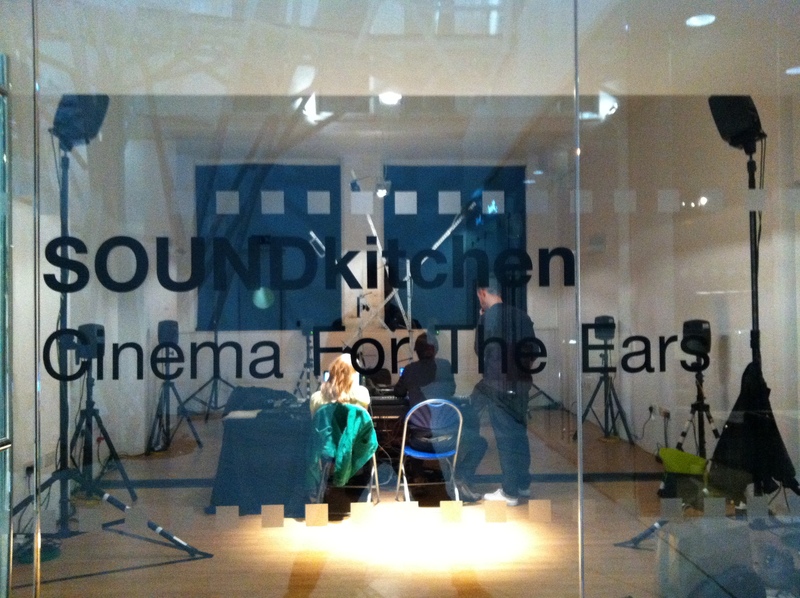 Here is a recording of the live laptop performance I gave at SOUNDkitchen’s Cinema For The Ears on 23rd October 2011. 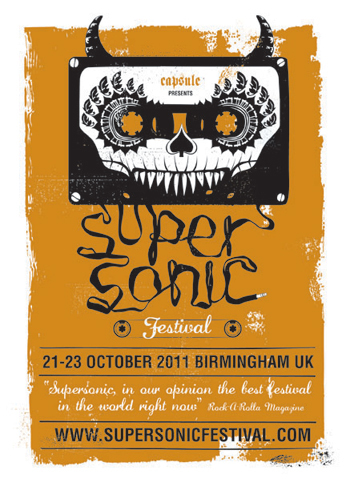 The event was part of the Supersonic Festival in Birmingham. I was working with field recordings and prepared material that was predominantly noise based and experimented for the first time with presenting this material over multiple channels live. Running Ableton Live I had 8 independent outputs mapped onto a circle of 8 speakers in the space and an additional stereo submix on another two channels going to the desk to be diffused over the whole system by SOUNDkitchen’s Annie Mahtani. It was quite an effective and manageable way of working, allowing me some control of the spatialisation of material in addition to the structure. This is a stereo reduction of the 10 channel set that was played over a multi-channel speaker system courtesy of BEAST. SOUNDkitchen have just completed a two day event as part of the Supersonic Festival 2011 organised by Capsule in Birmingham. We had our own space in the Zellig building for the weekend which was rigged out with a 20 channel loudspeaker system courtesy of BEAST. Under the title of Cinema For The Ears we programmed a range of events including field recording installations, multi-channel BEAST concerts and live performances from SOUNDkitchen members. I performed a 30min live set on the Sunday afternoon. I was working with field recordings and prepared material that was predominantly noise based and experimented for the first time with handling this material over multiple channels live. Running Ableton Live I had 8 independent outputs mapped onto a circle of 8 speakers in the space and an additional stereo submix on another two channels going to the desk to be diffused over the whole system by SOUNDkitchen’s Annie Mahtani. It was quite an effective and manageable way of working, allowing me some control of the spatialisation of material in addition to the structure. I recorded the set and I’m working on a stereo reduction that will appear on here soon. As part of the weekend’s events I also worked with Annie Mahtani on a collaboration with micro-cinema collective Imperfect Cinema. Inspired by their DIY punk roots Imperfect Cinema invited festival goers to record small amounts of footage of the festival on Super 8 cameras which they then collected, digitised and edited into a 15min film. Annie and I collected field recordings from around the festival and compsed a soundtrack for the film to be edited to – all in 48hrs! The final film was screened in the Custard Factory theatre on the Sunday evening.